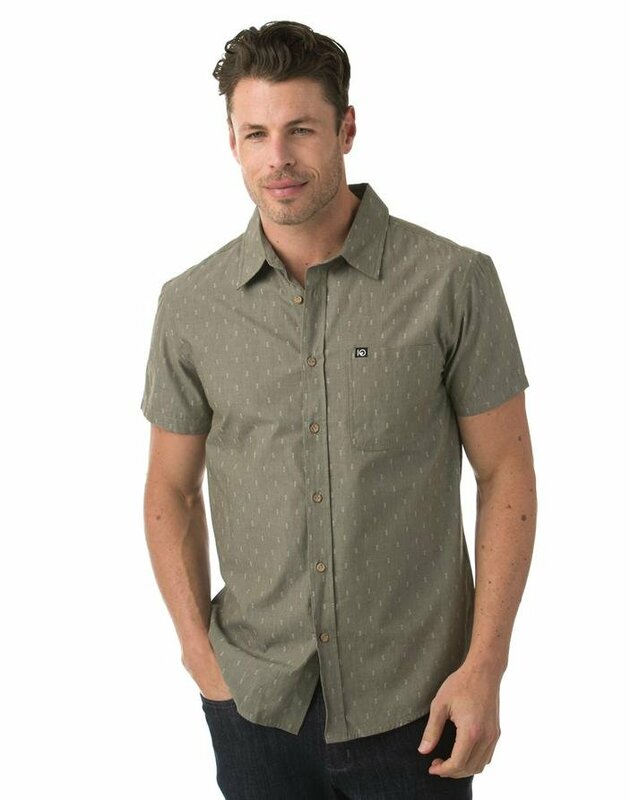 This shortsleeve button up is effortlessly trendy. Featuring a unique, subtle tree pattern throughout, it is stylish and practical. The borneo is made entirely of organic cotton and includes natural coconut buttons for distinguished detailing. The overall look is finished with a single, left chest pocket.